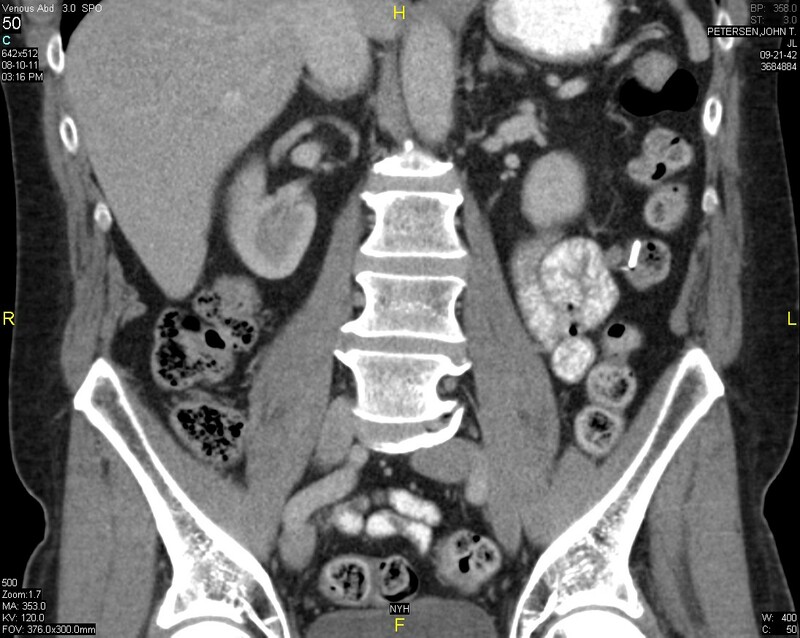 With the widespread use of cross-sectional imaging, more asymptomatic solid renal masses are being detected. 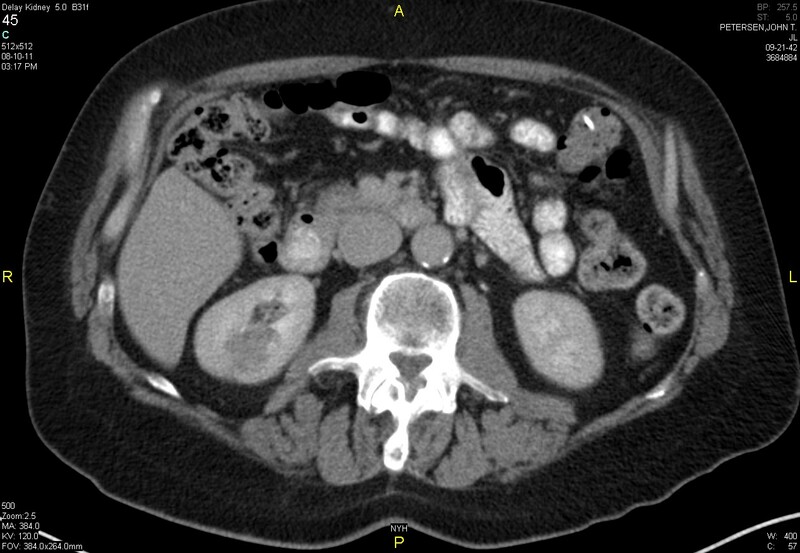 Robotic partial nephrectomy is more frequently performed for the treatment of incidentally detected small renal mass. 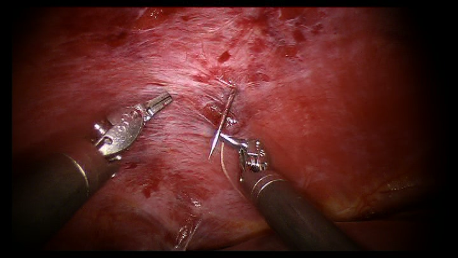 We present a video of a 55 year-old male with a right inferior pole mass who underwent robotic radical nephrectomy. 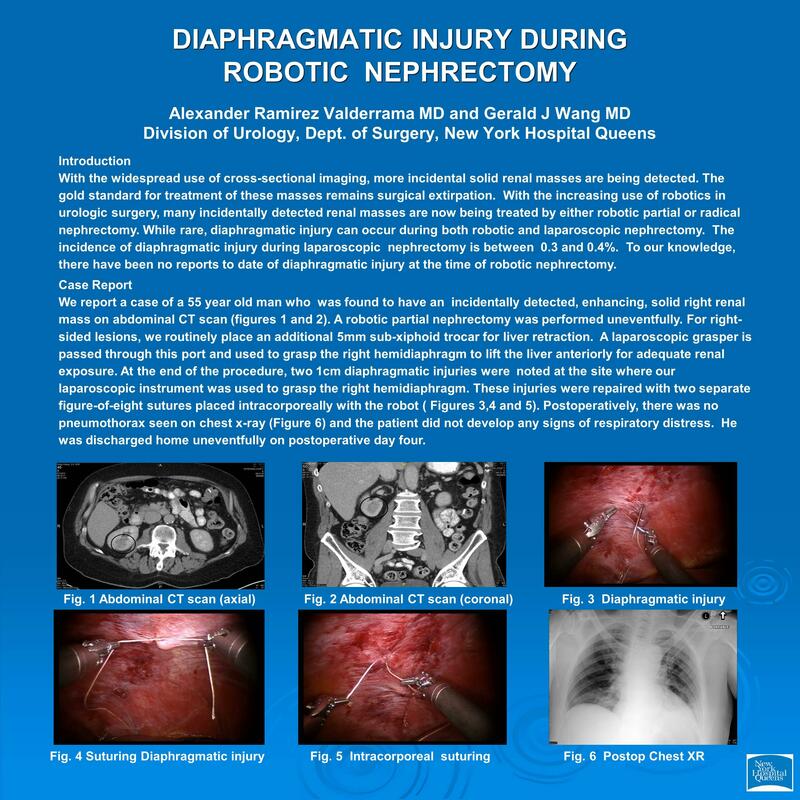 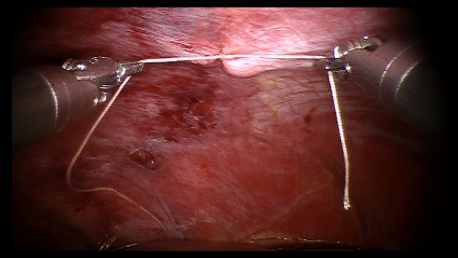 During the procedure two small diaphragmatic tearing was made with the laparoscopic grasper when liver separation was performed to expose the hepatorenal recess.This injury was identified and two intracorporea sutures was placed to repair the defects. 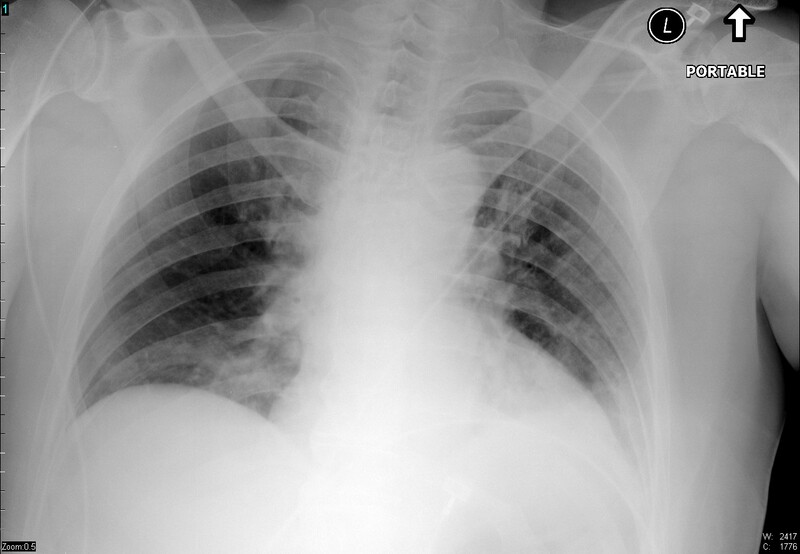 The patient did not develop intra-operatory clinical pneumothorax and a chest XR performed after the procedure was normal. 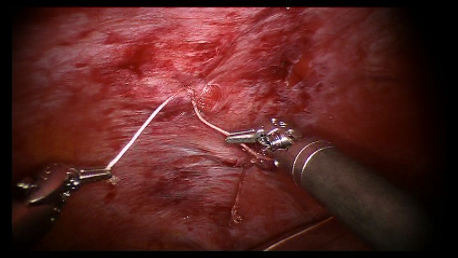 The patient was discharge in the post operatory day four without any complications.